Rustic, classic and beautiful are just some of the words you can use to describe wood shake roofing. This kind of roofing is really nice for the eco-friendly homeowners, too, as wood shakes are good for the environment. The problem is that a roof like this can be subject to wear and tear. Below are some maintenance tips to keep your roof in good working order for a long time. You can do your roof a lot of good with a good cleaning. Get rid of the leaves piling up on it. Make sure no debris is left lying around. You do not have to do it every day, but a routine cleaning and roof repair will get your roof looking nice and neat. It will also keep you from the mistake other homeowners make of just letting things pile up and then calling a roofer to essentially replace their roofing system. On the topic of regular cleaning, regular maintenance is also important. It doesn’t have to be all the time, but it should be consistent. Check it every few months or so. The great thing about regular maintenance is that it is preventive and can eventually save you money in the long run. This is a simple step that you can have your roofing company perform. Your roof is a part of your house that is subject to storm damage. Adding a preservative to them will help them last a long time. If you have any roofing repair needs or questions, we are the contractor that you should trust. 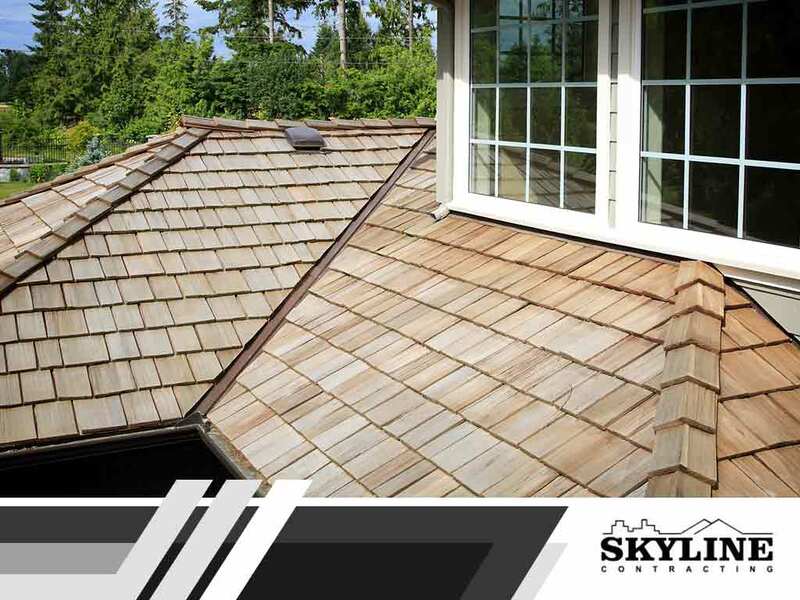 Our roofing experts at Skyline Contracting are here to help. Call us today at (770) 561-0297, or you can also fill out our form to request an estimate. We serve homeowners in Gainesville, GA.